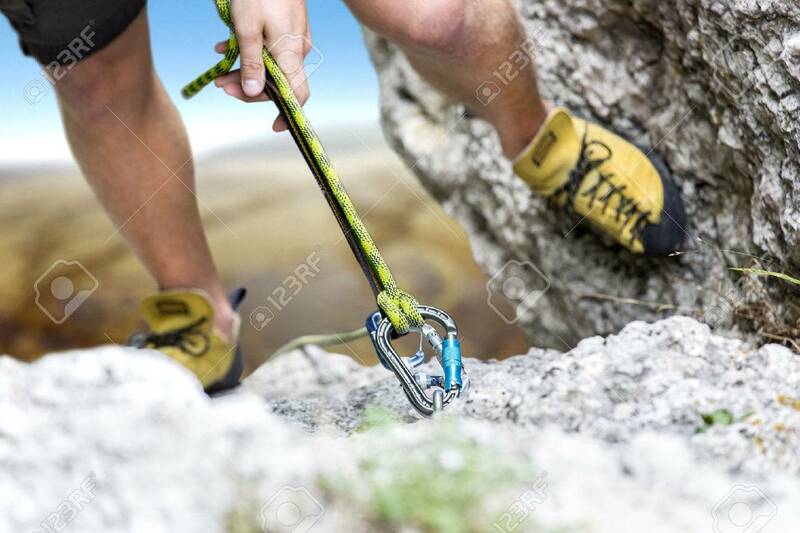 Climber Reaches The Summit Of A Mountain. Focus Is On The Rope.. Stock Photo, Picture And Royalty Free Image. Image 44764817.